As part of our 30th Anniversary, we wanted to hear from past families about their experience staying at the House as well as how their child is doing now. We reached out to families through email and Facebook. The response was amazing – families from recent stays to families that had stayed almost 20 years ago shared their stories. 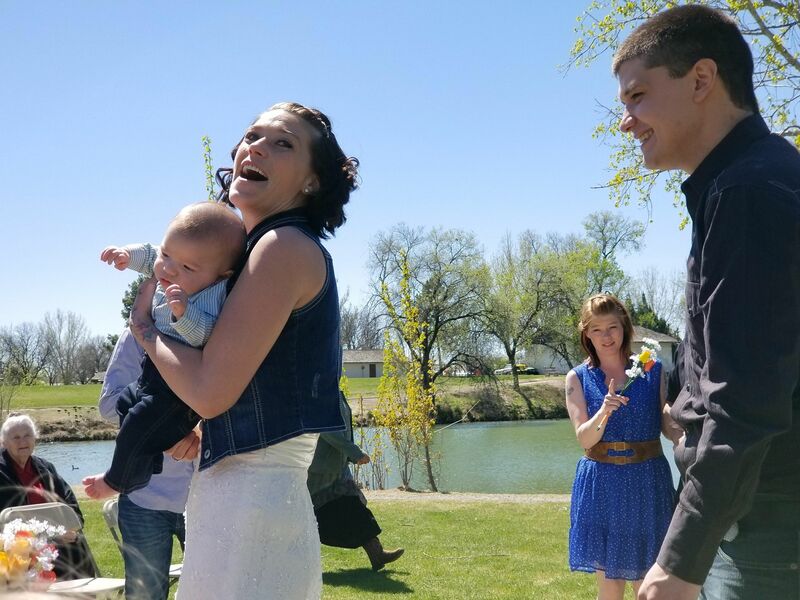 One of the stories was from Amanda Colton Pickens, mother of Kace Colton Lee Pickens. “Kace Colton Lee Pickens was born on December 22, 2017 in Ontario, Oregon—he was 5 lbs., 3 oz., and 16 inches long. Kace was life-flighted to Boise, Idaho on Christmas Eve and we stayed at the Ronald McDonald House until January 2, 2018. Kace is thriving now at 16 pounds, rolling over and talking up a storm. He loves his daddy and going on walks. Since Kace has been born, we got married on April 20, 2018.